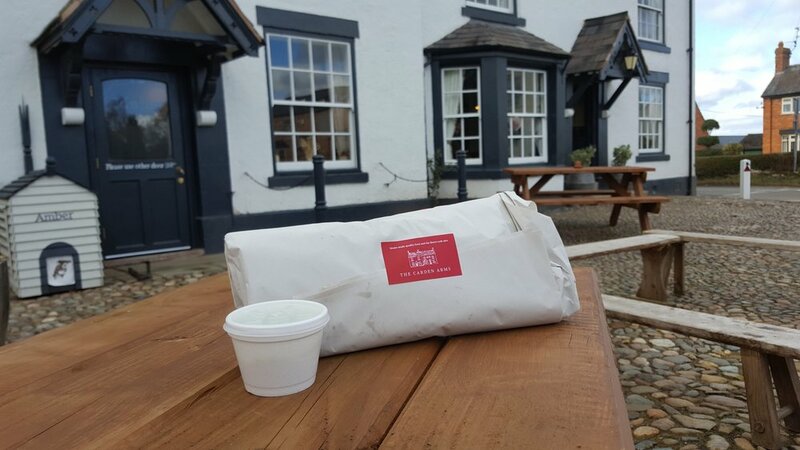 Every Friday we offer our fresh fish and chips as a take away option. It's a simple plan, you order your fish, let us know what time you would like it, then you wait patiently in the company of friends and the warm environment of a local pub (perhaps with a beverage or seven), then we send you on your merry way with a fresh batch of fish and chips in hand. Couldn't be simpler. The full size option is £10.50, and a smaller portion is £7.50. See you on Friday!